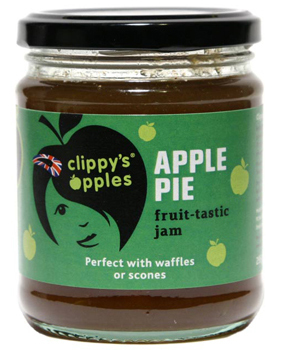 Since Clippy’s Apples launched their range of jams made from British apples they have secured listings in 800 Tesco stores. Not only is this a new product idea, but the brand also has real attitude compared to others in its category – and creates a modern twist on what has become a traditional, staid market. The identity firmly roots itself in apples and is very feminine, youthful and stylish. This is a great combination of three very British things: apples, jam and a quirky attitude that should shake up this marketplace.